For whoever is interested in non-duality (and in looking into reality) I do 1 on 1 walks in nature. While walking in nature we will be talking abou the nature of things. It is certainly not a matter of you asking questions and me telling you how it is, how a non-dual life should be lived or what enlightenment is and how it can be reached. To be honest, I could never do that. Beceause no statement and no explanation can capture what those words stand for. Do you have questions about making non-duality your reality? So what will we be doing while walking? You can bring in your point of views and we will question these together. What is really happening, here, now. Is there anything that exists without you? And what is the nature of that you? Can it be found in thoughts, feelings, the body or even in an experience at all? What is it you are looking for and what is the obstacle that keeps you from reaching it? How does your searching obstruct reaching happiness? For those who have had an awakening other questions might be more interesting. Maybe you are now struggeling with finding meaning in your life, with a lack of reasons to take action or to steer your life in a sudden direction. Maybe you are experiencing strong feelings of absence, of being the absolute and nothings comes out of your hands anymore. Or you feel stuck in a ‘I got it, I lost it’ fase. Or the idea that some guru’s out there do understand non-duality better beceause they seem so These things are all very common and it helps to talk about it with someone who has been there and has come out of it. These questions amongst many others can be adressed. It al depends on whatever you bring in. It will not be a theoretical exploration, we will be investigation into our actual experience only. 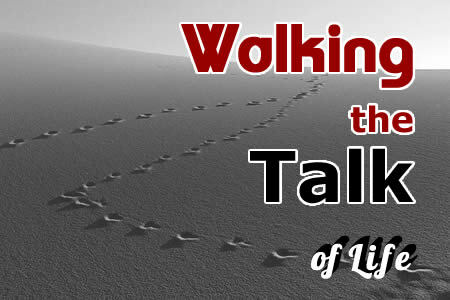 During a walk we try to find whatever keeps you from experiencing you and your life from how you think it should be. If you are interested in what you will find then let’s walk the talk! I live in The Netherlands, in the city of Haarlem and love walking in the Kennemer dunes. I am also quite often in the Region of the city Den Bosch, where the Loonse & Drunense Duinen make for great walk-the-talks too. Our first walk together is always free, unless you buy me a coffee afterwards. The only requirement is that you are serious.